I really hope that Tim Cook or Steve Jobs will say that at the end of the event. I am shattered by high probability that Apple will not launch iPhone 5 but instead iPhone 4S. All rumors are pointing to this possibility and there are little rumors about the redesigned iPhone 5. OK. Enough of my ranting. 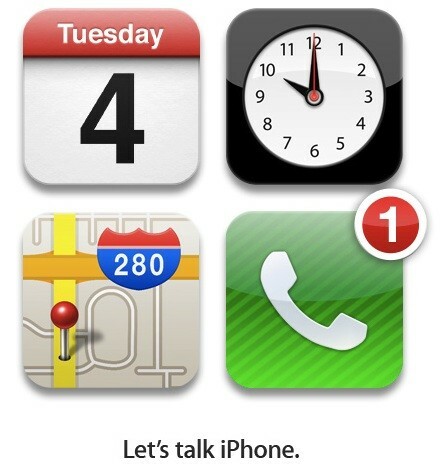 Let’s summarize what are the things that might be launched in Apple’s ‘Let’s Talk iPhone’ event on 4th October 2011 10am Pacific Time which is 1am 5th October 2011 Malaysia/Singapore Time. There will be no iPhone 5 but iPhone 4S. Here are the rumors that Apple will be releasing iPhone 4S. 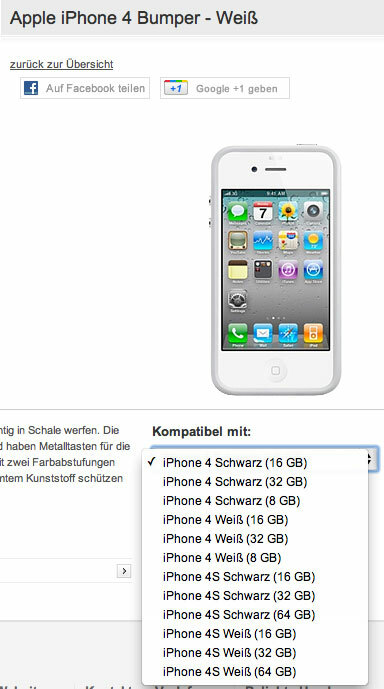 Even in Vodafone Germany official website has a listing of iPhone 4S. And indeed there will be a cheaper iPhone 4 with 8GB internal storage. 8GB of storage and no expandable storage is ridiculous. Nowadays apps size are getting bigger with better display and complexity. How do you expect people to survive with 8GB storage? Apple will be launching the iOS 5 and iCloud. This is very obvious. Apple had announced that when it launched Mac OS X Lion in the WWDC event. A special mention about iOS is the much anticipated Assistant which will use voice recogntion to tasks like sending SMS and scheduling events. This will be a major breakthrough in the IT world if executed properly. Let’s see how it works later. iCloud will enable the users to seamlessly update all their contects across their devices and its full functions are expected to be launched in this event. The new iPhone will mostly likely to have A5 chip, 8MP camera, 1GB RAM and with a selection of 16GB/32GB/64GB models. It will have iOS 5 and will be on sales starting 14th October 2011. Before I end, let’s watch a video on Steve Jobs’ ‘One More Thing’ which always excites people. Goodbye Steve Jobs and stay healthy. Oh ya, there is still one more thing. The price of iPhone 4S in Malaysia. Samsung Galaxy S II (16GB) is selling at RM1,899 without contract. How much will iPhone 4S cost in Malaysia? iPhone 4 (16GB) is selling at RM1,990 now. So, I predict that the price of iPhone 4S (16GB) will be somewhere around RM1,900 or below although I will be buying the 32GB model. Well, we will still have to wait until early November to know exactly when we will get the new iPhone 4S in Malaysia. Previous story Finally, the official launch date for iPhone 5 or iPhone 4S has been CONFIRMED!! !